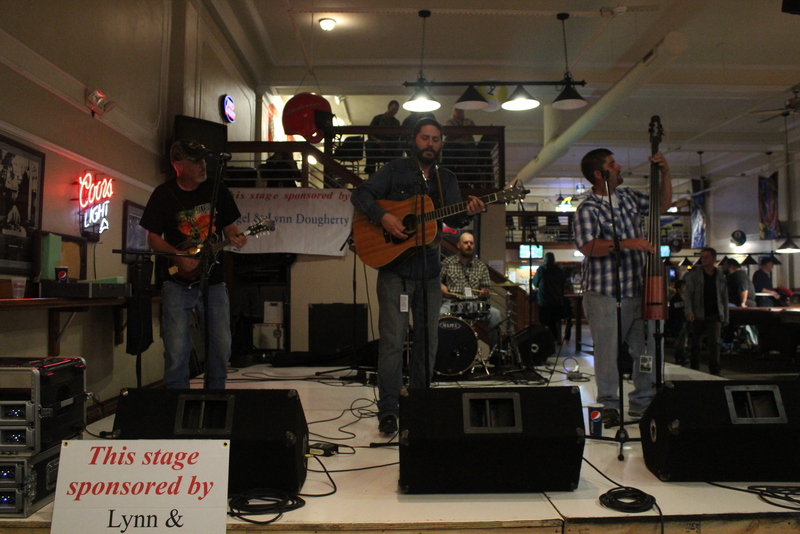 Rhythm & Roots is one of the best bluegrass and Americana festivals in the Southeast. 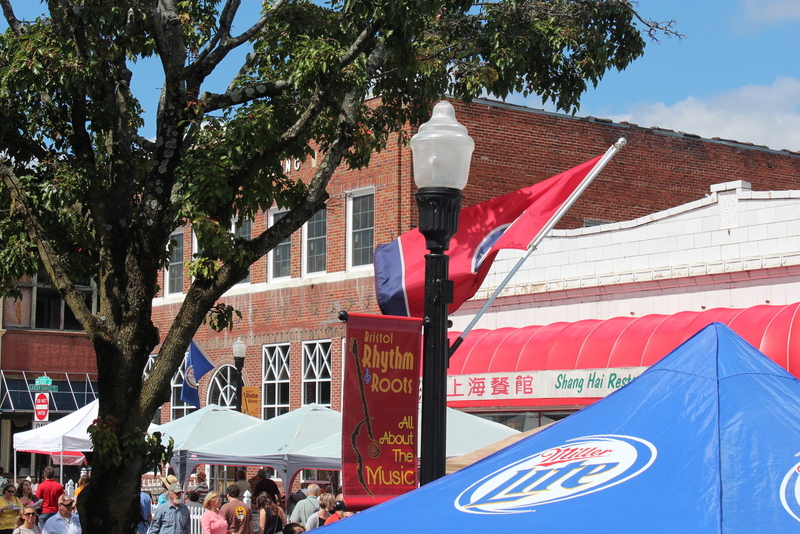 It’s a city fest with much of it situated on State Street, the Virginia/Tennessee state line at outdoor stages and inside at several venues on each block of the street. Bristol is the birthplace of country music and the town embraces its music like no other place. It’s in the blood, in the air and you can feel it. On Friday, we saw Farmhouse Ghost, two sets from Elephant Revival, the Virginia Luthiers with Wayne Henderson and Adam Steffey of the Boxcars, and Russell Moore and IIIrd Tyme Out. 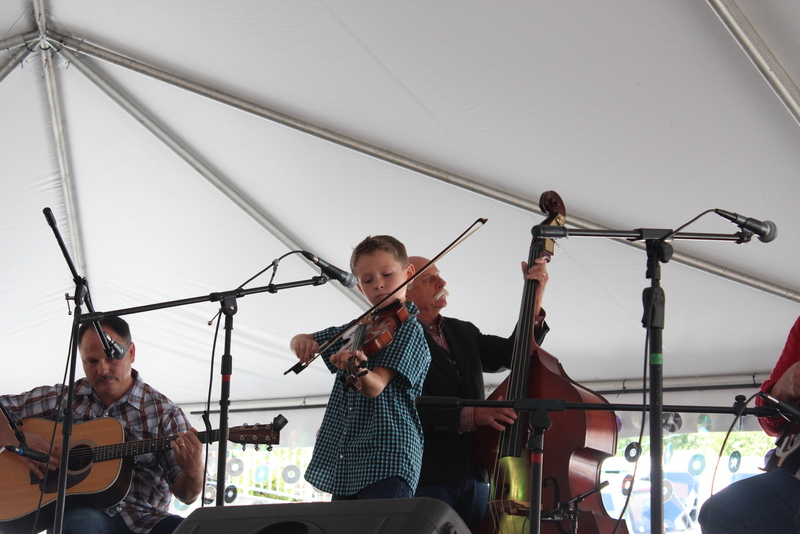 On a rare rainy R&R Saturday, we opened a long day of music with JP Parsons and American Bandwagon, Frank Solivan & Dirty Kitchen in the pouring rain, the Claire Lynch band with Mark Shatz (still raining), Della Mae, the Traveling McCourys and the Masters of Bluegrass. 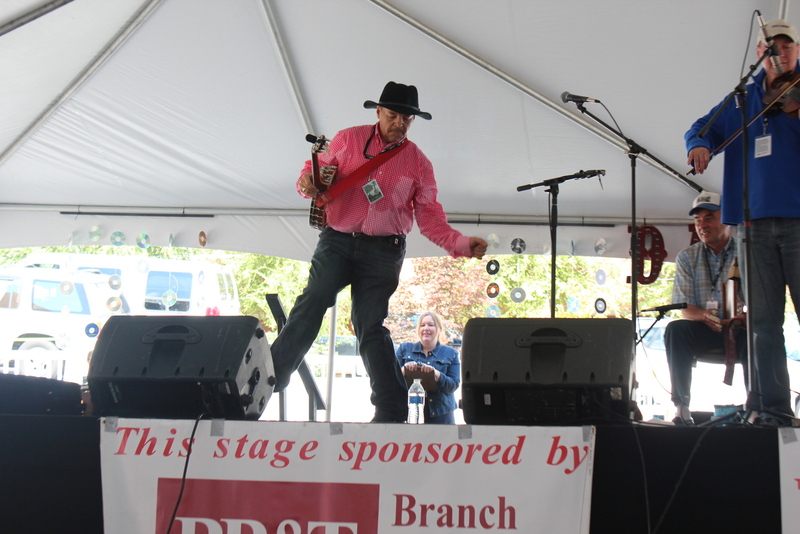 On Sunday, we saw Mountain Park Old Time Band, Kenny and Amanda Smith and the Carson Peters band. 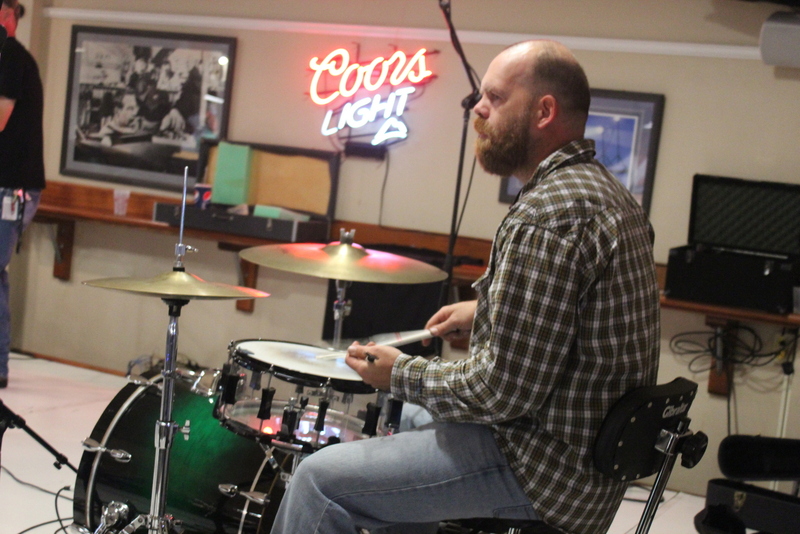 My brother, Scott Thomas, is the drummer for JP Parsons American Bandwagon. This was our first time to hear them. They played mostly originals, country acoustic tunes, with special Dead cover, Cumberland Blues. Elephant Revival is a creative band. They all contribute to vocals and their lyrics are light and poetic. Instruments range from guitar, bass, fiddle, and mandolin. Percussion included a bongo drum, washboard and the musical saw. The band commented that if anyplace gets the musical saw, it would be Bristol. As best I could tell, the saw is a basic hand saw, played with a fiddle bow. (My co-blogger/husband Greg plays a mean saw too so he was inspired!) They did a sweet a capella song, Raven. The second set closed beautifully on the new Cumberland Park stage. With a full harvest moon overhead, they played Ring Around the Moon and told the story of recording the song several years ago. The producers of the song recently lost everything in the devastating Colorado floods and the band is raising money for them on their whole tour. The Virginia Luthiers show included many classic bluegrass songs, including a Carter family medley and Sweet Georgia Brown. Wayne Henderson always has a few good stories to tell too. Russell Moore and IIIrd Tyme Out did songs ranging from Uncle Pen to the fifties hit Only You to country hit Tulsa Time. Their gospel harmonies were a true treat. 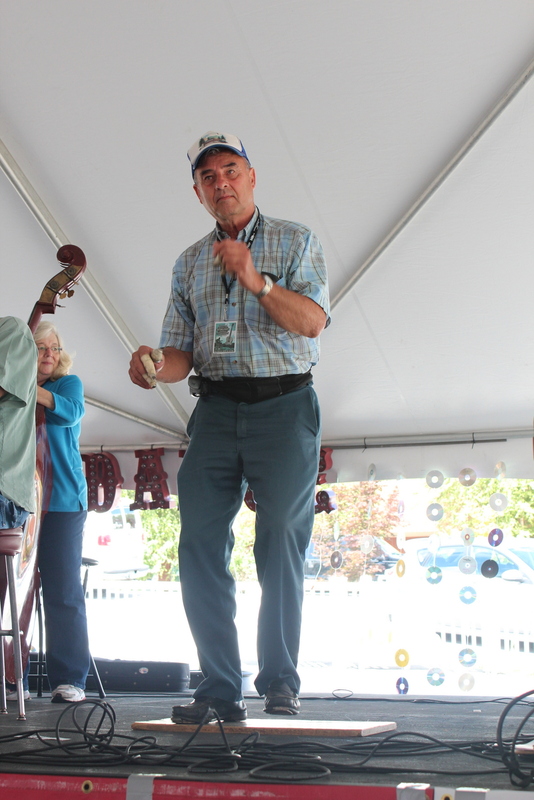 It’s not hard to see why he’s been named Best Male vocalist by IBMA many times. 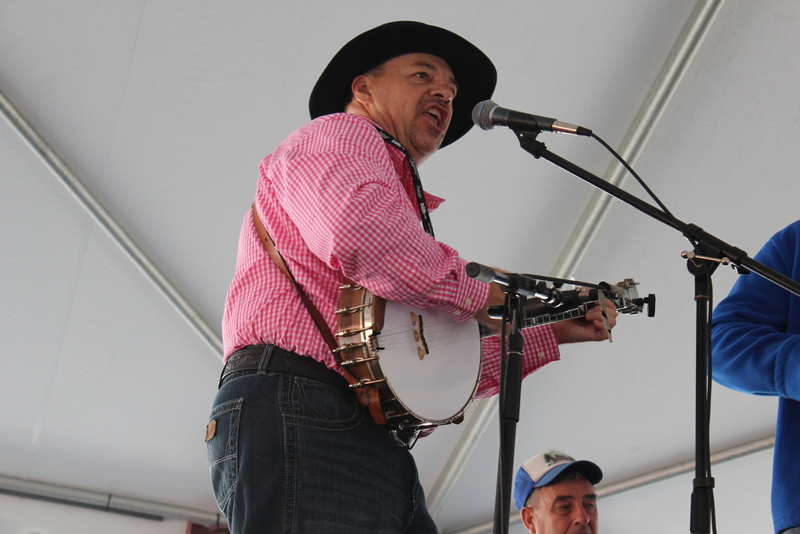 Frank Solivan & Dirty Kitchen is a solid bluegrass band and his banjo player, Mike Munford, is one of the best around. The next week, he won the IBMA Banjo Player of the Year award. Claire Lynch was joined by Mark Shatz and they played a really sweet rendition of Need Someone off her new CD and a fast fiddle song called Shady Hill. 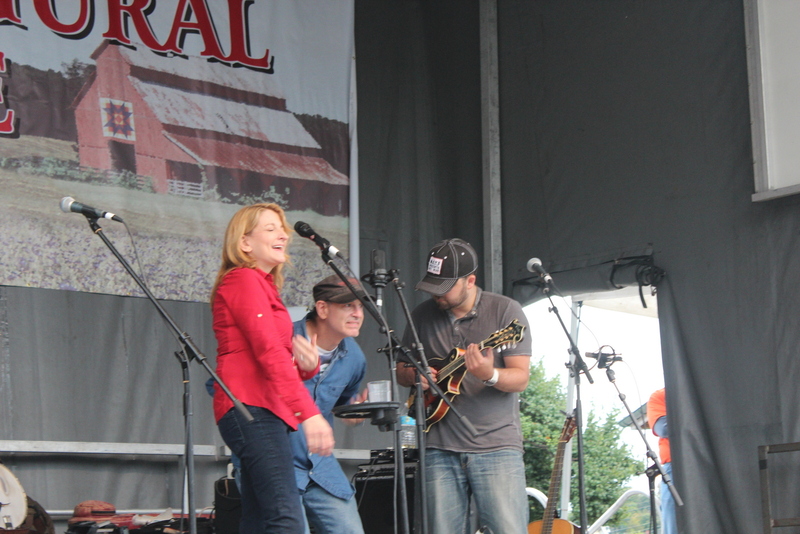 She also won IBMA female vocalist of the year. Buttermilk Road and Stay all Night were special numbers with Mark doing a little hillybilly beatboxing. 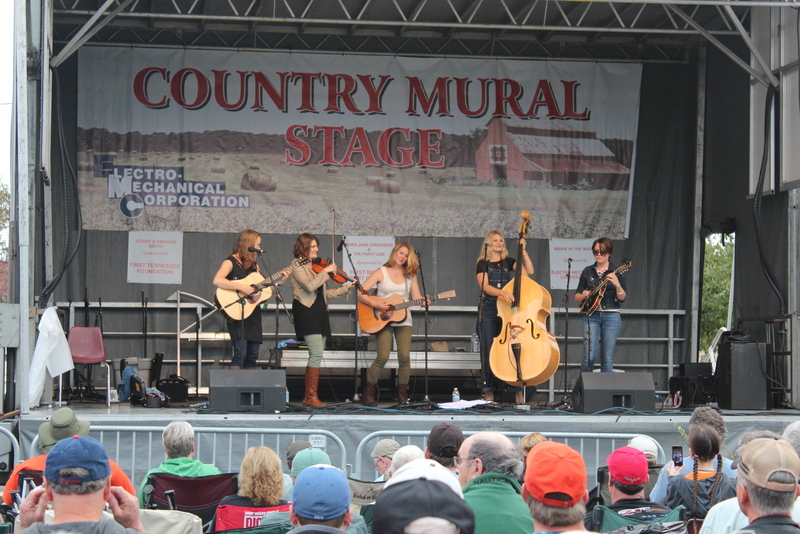 Della Mae features all young women and they can really sing. They did a nice cover of Levon Helm’s Evangeline and one of the members planned to play in a Levon tribute later that day with the New Familiars. Jason Carter of the Del McCoury band joined them for a few numbers, including the Sarah Siskind song Pine Tree. Earlier, the band recorded a performance at the nearby LC King Company and bass player Shelby Means was sporting new Pointer brand overalls. (Check out the NY Times article about this cool 100 year old American clothing manufacturer.) The performance is part of Live and Breathing.com’s recorded music sessions. They filmed several bands during the festival so we’ll get treated to their videos later on. 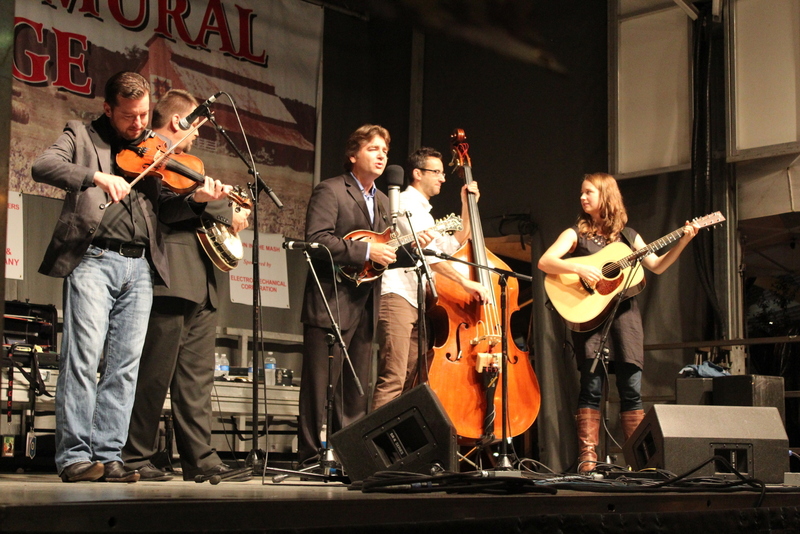 Traveling McCourys are the sons of Del McCoury and other members of his band. Courtney Hartman from Della Mae played guitar. They did a Mark Knopler song and one called Washington County, inspired by the nearby county, and a song written by bass player Alan Bartram and Jon Weisberger about Del. It’s called The Old Boy’s Still in the Game and he sure is. He took the stage next with Masters of Bluegrass. Bobby Osborne didn’t make it but the other Masters were in fine form. 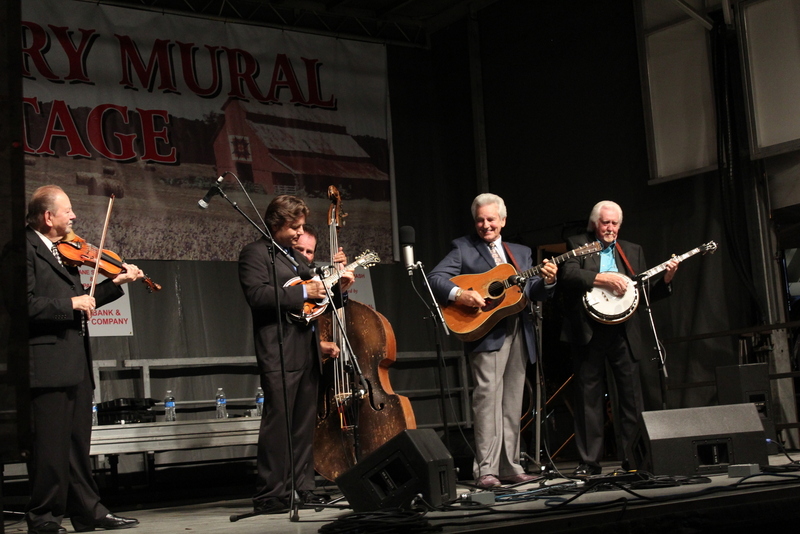 Jerry McCoury, Del McCoury, Bobby Hicks, Ronnie McCoury and J.D. Crowe made up the MOB. Bluegrass staples made up their set list and eventually they started to play requests. Del laughs between songs and talks about how they never rehearse. They’ve probably known many of them forever! Mountain Park Old Time Band is guaranteed to make you dance. Dr. Mark Handy plays banjo and he’s a sight to be behold. He tears up the banjo, sings like crazy and often dances and clogs through the songs too. He’s also my parents’ doctor and our whole family just loves him. He’s just an awesome guy and he’s fun to watch. Mtn Park also includes a fiddler, bass, and guitar. Their washboard player also is their official dancer. He clogs along with several songs and is a great clogger too! One of the last treats before we left was catching an unadvertised set from fiddlin’ Carson Peters band. 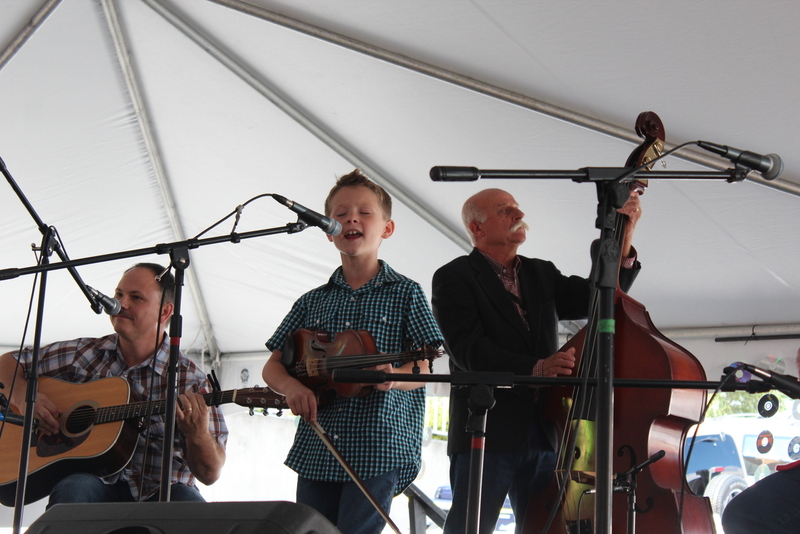 He’s all of about 9 years old and can tear up a fiddle, he’s a great singer and quite the entertainer. Carson Peters of Piney Flats, Tenn. He can tell banjo and fiddle jokes like a pro! He’s been playing a few years and he lives in Piney Flats, Tenn., near Bristol. He recently scored an appearance on the Tonight show and really knocked it out of the park. We’ll be seeing him down the road, for sure. 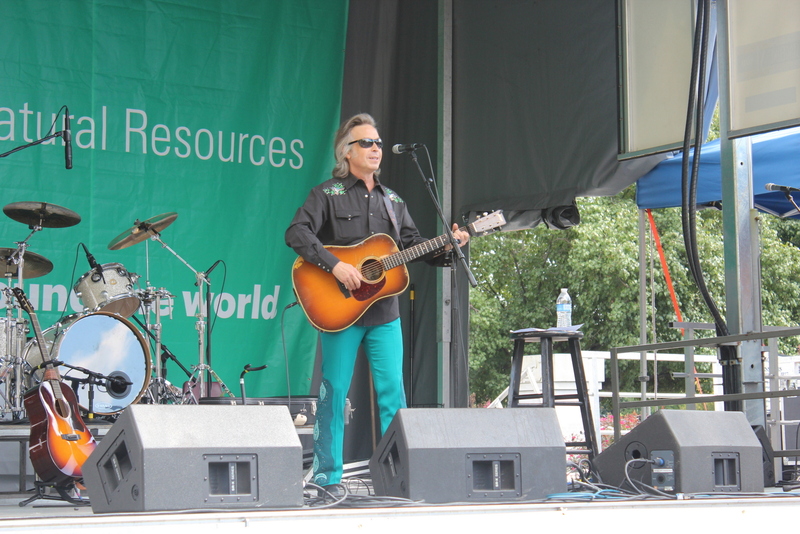 Jim Lauderdale was our last act of the day. He’s a legend and I appreciate his music more each time I see him. Just a note about the rain, it’s a city festival so there’s always indoor venues or little places to get out the rain so bring your boots on get out! 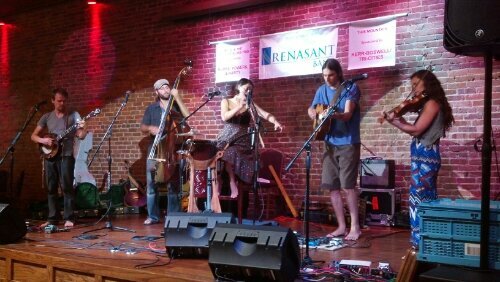 This entry was posted in Festival review and tagged Bristol Rhythm & Roots, Del McCoury, Della Mae, Elephant Revival, Frank Solivan & Dirty Kitchen, Jim Lauderdale, JP Parsons & American Bandwagon, Masters of Bluegrass, Mountain Park Old Time Band, Paramount Center for the Arts, Sarah Siskind by Teresa. Bookmark the permalink.